As we said in our Call of Duty: Infinite Warfare review, this year's entry in the indefatigable series is a solid entry with a slick sci-fi sheen. 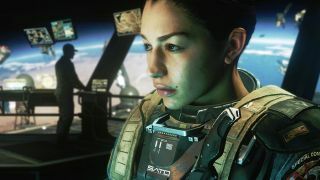 Who is helping guide Infinity Ward's signature franchise into its increasingly Star Wars-like setting? That's none other than Taylor Kurosaki, formerly of Naughty Dog, who joined us for a wide ranging interview about Call of Duty Infinite Warfare, Crash Bandicoot, and the Uncharted series. If you like the show and want more like it, watch every Tuesday and Thursday live on Twitch at 1:30PM PT/4:30PM ET/9:30PM GMT.